I like keeping a blog. It gives me a central place to go back to and relive the experiences of the training, competition or the new ideas I came up with. But the pen is still mightier than html. I recently saw a video and one of the pros mentioned inside that he likes to go through his journal the night before the race. This sparked the idea of creating a Journal for my preparation to the 2013 Ironman in Klagenfurt. 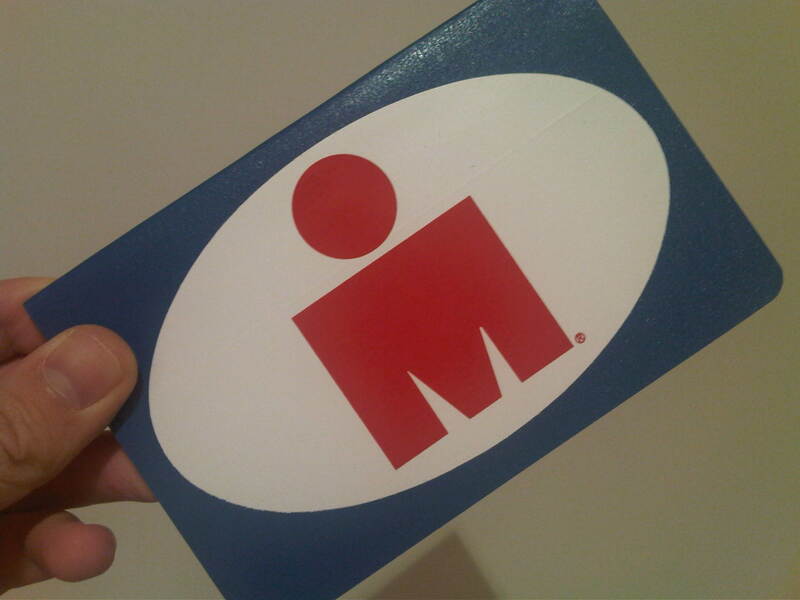 The next day I went and bought a moleskin, slapped on a huge Ironman sticker and started setting my goals for the season. I think this is fantastic. Not to log every training and every race, but to log those break through moments and learning’s that I experience. This way I have something that I keep on my bed side table to go through before I sleep and I will use it as my guideline before a race to sync up all the experiences into one easy to experience format. The blog will stay as a shared experience, but this will become the driving factor for now. This entry was posted in Gear, Tips, Training Log and tagged books, gear, ironman, training, triathlon. Bookmark the permalink.